Story about Galgina maybe isn’t one of a kind, but for me it’s very emotional. 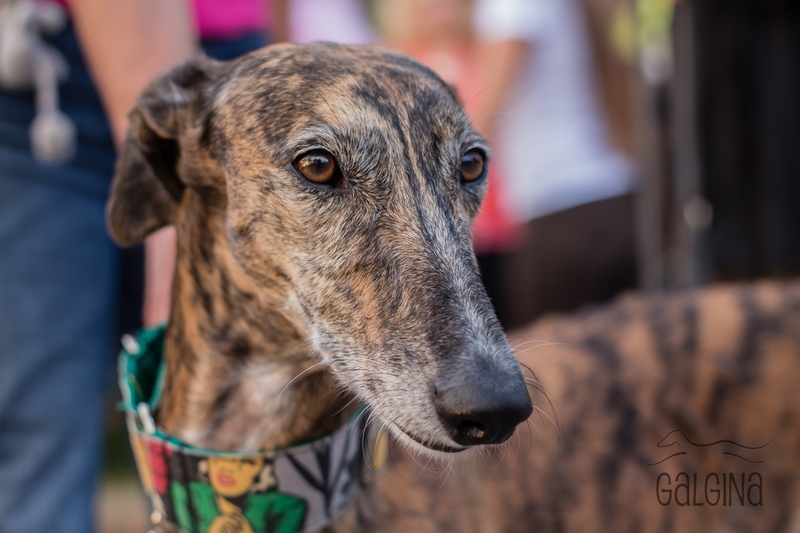 It all started when Olaya, Spanish greyhound was adopted. Direct from the shelter, dirty and smelly and at the same time so beautiful. That was the first time I bought and held a sighthound collar in my hands. It was really special because you could tell it was made by a person and not a factory. Just perfect for one and only, Olaya. I didn’t see any fabric collars before as they were so rare in Slovenia. Everybody was using same old boring leather. So I wanted to have as many different collars as possible for Olaya. I didn’t know how to sew and I really didn’t know where to start. But my mom is a great seamstress, and back then she just lost her job. Oh, she was irreplaceable for this one! To be able to offer such collars to everyone else, Galgina was formed. Me and my mom are a great team, we love choosing fabric, colors, patterns and designs. We already expanded our offer with some other products which are essential to dog owners, but wide martingale collars certainly remain our most recognized product. All products are made of fabric in multiple patterns which enlivened monotonous offer of usual pet stores. Every single Galgina product is handmade with lots of love, care and percision. Because we want to be as kind as possible to all living creatures, we avoid using materials of animal origin. Like Olaya, many more sighthounds come to Slovenia to their forever homes. We love to greet them with some new collars specially designed just for them. We also donate our items to online auctions to help those in need as often as possible. Every animal, every dog, every greyhound is special and deserves only the best. We are so happy that we can offer something to them and to you who care. Thank you for choosing Galgina! For orders and information contact us via infogalgina@gmail.com.